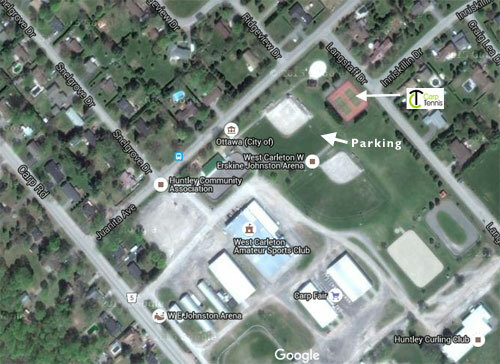 You may park in the parking lot for the Community Centre or along the fence just beyond the Arena. There is no parking on the grass next to the Tennis courts. You must walk past the baseball diamond to access the tennis courts. 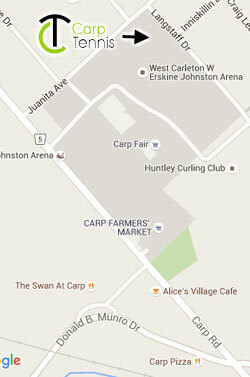 For any questions regarding registration or more details about the Carp Tennis Club, please call 613-839-1215.